The Bellarine Rail Trail provides a continuous link of indigenous vegetation between Geelong and Queenscliff. It contains significant remnant Ecological Vegetation Classes (EVC), rare plants and supports diverse wildlife. It also contains European historic and Indigenous Cultural Heritage sites. The rich diversity is threatened by weed invasion, specifically Gorse, Flax-leaf Broom, Italian Buckthorn Blackberry and Mirror Bush. VicTrack funding of the Bellarine Rail Trail Revegetation and Restoration project has contributed to ongoing maintenance of project sites, as well as enabled new sites to undergo weed control, pest control and revegetation improving habitat connectivity and biodiversity. Community engagement was a major focus of the project for the Bellarine Landcare Network. Local schools, landholders and community groups were involved through community plantings, and involvement in revegetating degraded areas with indigenous species. Students from two local primary schools participated in weeding and planting days on railway area near their campuses. 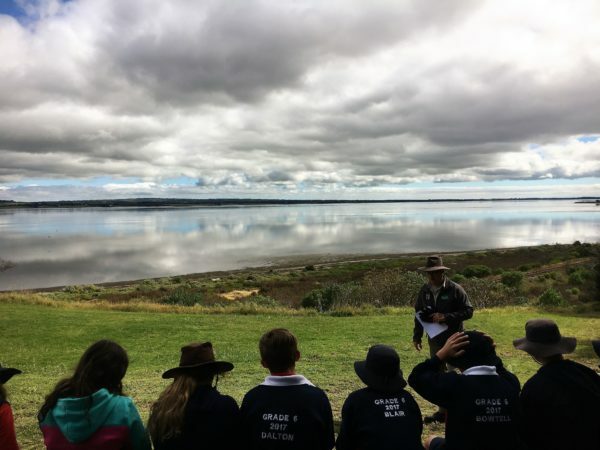 On four occasions, Bellarine Secondary College students went on educational ‘walk & talk’ days along the rail trail led by a representative from Bellarine Landcare Network. The project emphasised the restoration of sections of the Railway adjacent to the Victorian Flora and Fauna Guarantee Act 1988 listed threatened community ‘Coastal Moonah Woodland’. The Bellarine Landcare Group members and other community members engaged in the project with emphasis on encouraging biodiversity, namely, in the twice-monthly “Weed and Walk” group led by local botanist Beth Ross. These group walks encourage community members to get outdoors together and look after the local environment. Two biodiversity hotspots were identified and hand-weeded to encourage more sensitive species to regenerate. One site was manually weeded twice a month by a small group of Landcare members. VicTrack’s continued support of the project in 2019 ensures ongoing environmental and social benefits are achieved, as well as ongoing vegetation management, to keep plants under eye level at all level train crossings, reducing rail safety issues on the line. Craig Billows presenting to the local primary school at the planting day. 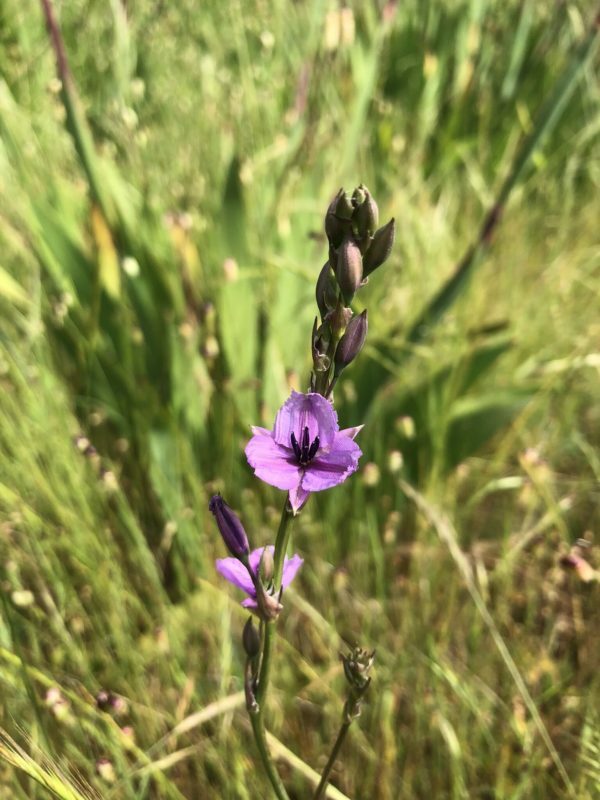 A flowering Chocolate Lily (Arthropodium strictum) on the railway.